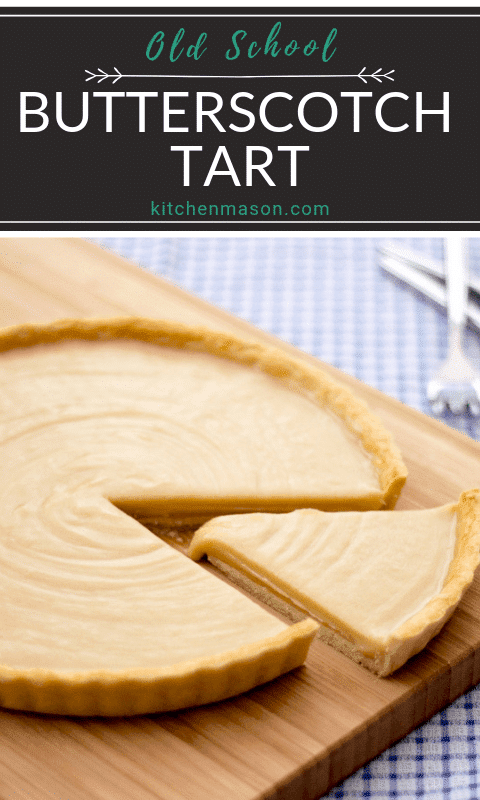 In this post you will learn how to make your very own nostalgic Butterscotch Tart! Literally my favourite dessert from school, I actually used to skip dinner altogether and just have 2 servings of this whenever it was on the menu. I loved it that much! 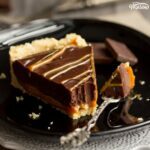 This old school dessert went by many names across the country (butterscotch tart, caramel tart & even gypsy tart) but they were all the same and all tasted amazing! 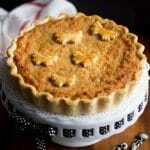 Speaking of old school desserts – have you seen my treacle tart and cornflake tart recipes? More of my all time faves! When I think of school dinners I personally only think of one thing… Butterscotch Tart. I LOVED this pudding when I was in school. So much so that, on my last day, I asked a dinner lady for the recipe. It was on this scrappy bit of paper that got mislaid over the years. I honestly thought it was lost forever. 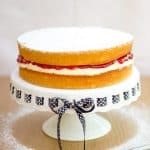 Want a FREE Best Bakes e-cookbook and 5 tips to GUARANTEE baking success? Until one day – I was being nosy at my parents house (as you do) and to my utter surprise & elation, found the scrappy bit of paper! The recipe was a little on the vague side but nothing I couldn’t work out if I put my mind to it. And I was very determined. Straight away I just knew you lovely bunch would love it too so I had to share once I’d figured it out! Don’t skip the butterscotch essence/flavouring. It’s the key ingredient to making it taste exactly as it did in school. Struggling to source butterscotch essence? Scroll to the bottom of this post. I’ve got you a link to a great one that’s available on Amazon. Be careful not to overwork the pastry as it will become chewy and generally horrible. A light touch, cold hands and as little playing around as possible makes the best shortcrust pastry. Find that your filling mixture has split? Fear not! Blitz it for a minute or two in a food processor and it will bring it all back together again. Problem solved. 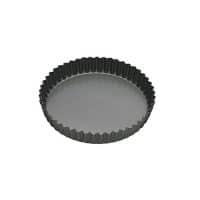 Here is what you will need to make a 20cm/8″ tart. When chilled, place the dough between two pieces of clingfilm and roll out a circle to a thickness of 2-3mm. Peel off one layer of clingfilm then carefully (cling film side up) lift and drape over the tart tin. Press the pastry firmly into the base & sides. Try not to trap any air underneath. Fold the sides down over the edge of the tin and press to “cut off” the excess. Then remove the cling film and pierce all over with a fork. Pop it into the freezer for 10 minutes to firm up. Scrunch up a large sheet of baking paper (NOT greaseproof paper as that will stick) place into the tart case & fill with baking beans/rice. Bake in the preheated oven for 15 mins. Take out the oven, remove the beans/baking paper. Brush the pastry all over with the 2nd beaten egg and pop back into the oven for a further 10-12 minutes until golden brown. Allow to cool completely. Firstly, in a very large saucepan melt the butter (175g) and sugar (175g) together over a low heat. Stir until the sugar has dissolved. Then add the flour (175g) and cook, beating vigorously with a wooden spoon, for 2-3 minutes. Next, tip the mixture into a large mixing bowl and add in the salt (pinch), vanilla (1 tsp), butterscotch (1 tsp) & milk (110ml). Beat until smooth and thick. To start with, it will feel like it won’t come together but it will. If you’re mixture split & you’re having a hard time bringing it together, pop it into a food processor and blitz on high until smooth and thick. Finally, pour the filling into the cooled pastry case and allow to set at room temperature for at least 30 minutes to an hour. It should just hold it’s shape when cut. With my first bite into this Butterscotch Tart, it took me straight back to my school days. I would get so excited when this was on the menu! That beautiful, soft & gooey butterscotch filling on a gorgeously golden pastry crust. Just, yes. A thousand times yes! Will this classic dessert be making an appearance in your household? I’d love to know if it is! Send me your pics and comments on Facebook, Twitter & Instagram or email me at misskitchenmason@gmail.com. A classic old school dessert, this Butterscotch Tart recipe will have you reminiscing in no time! A beautiful butterscotch filling in a golden pastry crust... just YUM. Place flour, butter & salt in a food processor and pulse until like fine crumbs. Add one egg & a splash of water and pulse again until a crumbly dough forms. Bring together, flatten into a disc, wrap in cling film and chill for 30 minutes. Roll out a rough circle that's wider than the base and sides of the tin to 2mm thick between two sheets of cling film. Peel off the top layer and drape over the tart tin. Gently press the pastry into the tin, press off the excess then peel off the cling film and prick all over with a fork. Freeze for 10 minutes. Scrunch up a big bit of baking paper and lay over the pastry. Fill with baking beans then bake for 15 mins. Remove the beans and baking paper, brush all over with beaten egg then bake again for 10-12 mins until golden. Set aside to cool. Gently melt together the butter and sugar in a large saucepan over a low heat. Pour into the cooled base and leave to set at room temperature for 30-60 mins. So happy to have found this. It was my fave at school too. Also loved cawl at school in Wales, kind of soup/stew served with a slab of cheddar cheese, yum. Funny how it brings it all back and most of the dinners where great. Having said that, I blame the lunches on my generous hips, lol. Way to much flour in my opinion.Just finished making it for the first time,and followed your recipe. 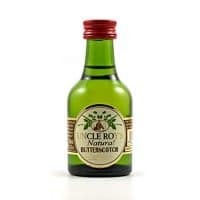 Just in case anyone is having problems, here’s the link to THE BEST butterscotch flavouring… http://www.sweetsuccess.uk.com/vshop/shopexd.asp?id=406 (thankfully I live in Nottingham, where they’re based, and I can purchase it directly from them). I’ve had the 1L bottle now for about 3 years (my bro bought it for me Christmas 2013) – went out of date 18 months ago and it’s still perfectly fine. So if you are wanting to make copious amounts of the best school pudding in the world, I’d say get the 1L bottle instead of the 28ml bottle – it lasts pretty much forever since it’s all chemicals anyway. Also, it’s great to use in rice pudding (mmmm, butterscotch rice pudding), cakes and buttercream. Thanks so much for this recipe, it worked perfectly for me. It looked and tasted exactly how I remember it from school. This is seems like an awful lot of flour in the filling. Other recipes use a much smaller ratio of flour to butter and sugar. Is the 175g by any chance a typing error? Can I replace caster sugar with regular ones? Yes replacing the sugar is fine! I use caster as it’s a fine sugar and dissolves easily. Miss KitchenMason, I really like your step by step instructions with all the pics. Helps so much. Thanks for taking the time, I know it can be a lot of work, doing a writeup like this, and thought you should know, that it is much appreciated. Though, by all the comments, I’m not the only one who feels that way. Nice to see current comments and Holy Cow! even replies from the author. Thank you SO much! That’s so incredibly sweet of you to say! Especially about the step by step pictures as yes, it’s a lot more work! But totally worth it if my wonderful readers enjoy it 🙂 You’ve made my day, thanks again! I did the same thing almost, I used to love this desert, and then the school cook got a job opportunity at a bigger better school, my school was pretty small so we knew everybody and I was always friendly with the teachers and staff, before she left I asked her for the recipe, she adapted it into something more suitable for home and gave it to me, but like you say, life happens, things get lost, so very much looking forward to trying this one out! I’m so glad I found this recipe! I’m cooking for my family tonight so I’m a bit short for time on sourcing ingredients, the main ones I already have in my cupboard but I couldn’t find butterscotch essence anywhere in my supermarket. They did have a caramel one though, do you think this would be okay or will the flavour be too different? Also, can I substitute the sugar for regular white sugar? 🙁 I’m in the US and have had the hardest time finding some of these ingredients. I used my food processor to process some golden raw sugar, but the grains didn’t get small enough, so I used the white sugar (called refined sugar, I think). I can taste the grittiness of the sugar, but maybe I didn’t dissolve it long enough? Your pics looked just like my steps, and I had no problems with separation. I let it dissolve for a quite a while – but do you have a minute number that could help me out? I’d like to travel with this pie. Should I assemble it, freeze it, and thaw it? Or, freeze the filling once it’s made, then thaw and place it in a crust? Hi Emily. I’ll be honest, I’m not sure. I’ve never frozen it before. I can’t see any reason why it shouldn’t be ok being frozen assembled though, so long as it’s in an airtight container? Freezing it is absolutely fine – school chef here and I make it twice a month (though we have progressed onto ‘butter essence’ now instead of ‘butterscotch flavouring’ – doesn’t taste quite as good as it did when I was a kid). I usually make several trays of this in one go, as it’s so popular – and freezing it afterwards and letting them have it as a treat the following week. It defrosts perfectly – I recommend defrosting on a cooling wire, just in case of any ice crystals, they won’t make your pastry go soggy. My little girl started school in September and she sometimes has Butterscotch Tart for pudding – I’m so envious every time she comes home and tells me she had it for lunch, so I can’t wait to make this! Hahaha I would be too! It was my fave school pudding by a country mile! you never said when to add the second egg…. It’s used beaten as a glaze over the pastry later on in the recipe Vicky. Exactly how I remember school dinners…. butterscotch tart to excite the taste buds. I dont know your age “KitchenMason”, but Butterscotch tart was just the same in 1964 when I was 10. I am now going to try your recipe, I’ve always loved cooking so this will be another conquest for me. Thanks. 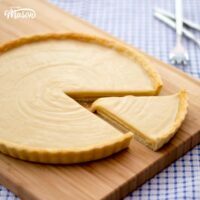 Tried to make old school butterscotch tart for many years and still not managed to get it right, however after searching for images for old school butterscotch tart I came across your post. I’ve literally just finished making yet another unsuccessful tart, noted you recipe and I’m going to make it this afternoon. I’ll let you know if it’s the same one we used to have with chocolate shavings on top cut into rectangles mmmm…. Was it the same one as you used to have at school? That’s how I remember it 🙂 Hoping it is! It’s gorgeous Sab you’ll love it! oh it looks wonderful. i love custard pies! This looks and sounds divine. Yum! Haha the horror stories are probably true! But here in the UK we had a choice, packed lunch or school dinners. And this pudding was my all time fave!